Many people think moving furniture is an easy job. However, this is hardly the case. While on paper, it sounds all simple but when you actually do the job, you suddenly realise how hard it is for amateurs to move furniture. A better deal is to rope in the services of experienced furniture removalists. They have seen and done it all and would transfer your furniture safely and on time. It might be possible to complete small removal jobs with help of some friends and a rental van. Doing that to move many heavy objects within a schedule might be extremely tricky—even foolhardy. In all likelihood, you’ll end up making a lot of trips, which would not only be time consuming but also frustrating. Moving heavy furniture heavy items might prove even harder, especially if you need to navigate stairs. The items can get damaged or someone can incur an injury. As an amateur, you and your family or friends are not likely to be habitual of lifting and moving heavy stuff. Doing this several times on a single day might lead to shoulder pain, knee pain, or back pain, which might take months to heal and prevent you from doing things that you enjoy doing. As the night fall and much work is still left to be done, people might get tired and agitated. They might stop being as careful as they were when they fresh. This can make the job all the more dangerous, increasing the risk of damage to the items that are being moved and injury to the people who’re moving them. Professional removalists are trained to handle heavy stuff, safely and quickly. They also know how to navigate corners or stairs. 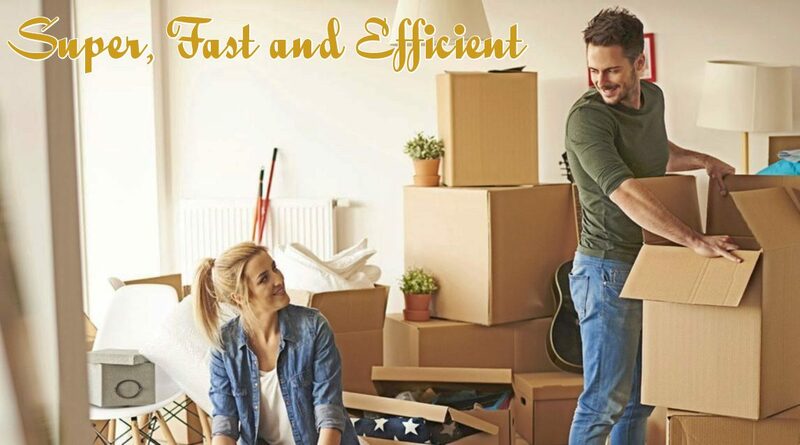 When you hire professional removalists, you can rest assured that your stuff will be installed in the new home in the same condition as before. Professional furniture removalists professionals are insured. This can prove important if a mishap occurs. God forbid, but if an accident occurs, you wouldn’t have to pay compensation. On the hand, if a family member or a friend becomes injured during your move, you would have to deal with medical costs that might run into thousands. Experienced removalists are adept in moving all kinds of objects. They also know how to adhere to deadlines. They can work fast without compromising on the safety of the items being moved. If you want to move a lot of stuff or some heavy items, it wouldn’t be a smart idea to rely on your family or friends. Non-professionals, even if they are strongly built, will take more time to move around stuff. A small team of professional removalists can do in a few hours what many amateurs might take a whole day. Simply put, when you hire a professional team, you save time. This saved time can be used by you to pursue other important things, such as getting your new home ready or visiting your new neighbours. If you work full-time and need to move house, the only time when you can complete the removal process without professional help is during weekend. Even when you are desperately trying to rope in your family or friends for this cause, the weekend is the only time when you could attempt the removal. However, there are two reasons why doing the removal on a weekend is a bad idea. Firstly, a weekend is the time when you can relax after working hard for 5 days. Secondly, it is highly unlikely that all of your family and friends would be available on the first weekend you ask them. As a result your removal job would be delayed until all of them are available. You can get over these two problems by hiring a furniture removalist company. Professional removalists can take care of your removal job even when you are off working. You can also count on them to come on the move day. Ready to rope in the services of a furniture removalist company? You expose yourself to many risks and inconveniences when you try to do something that require specialized skills—and the same is true in case of furniture removal. You might think that by doing it yourself you might be able to save some money, but there’s a good chance that you might incur more costs if anything goes amiss. Precisely for these reasons, it is always better to hire a professional removal company, particularly when the item to be moved is something as awkward, bulky, and expensive as furniture. Consider hiring a professional furniture removalists provider like Capital Removalists. This way you will be able to get freedom from all the hassles of DIY removals and also save some money. Call us @ 1800870700 to book your move today.